Sunday morning came and the sun was shining. 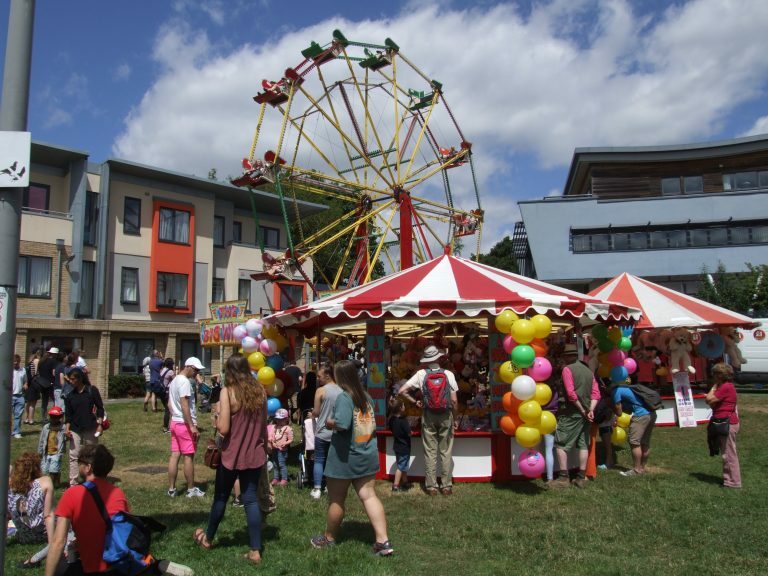 It was a beautiful day for a Carnival in Oxford. 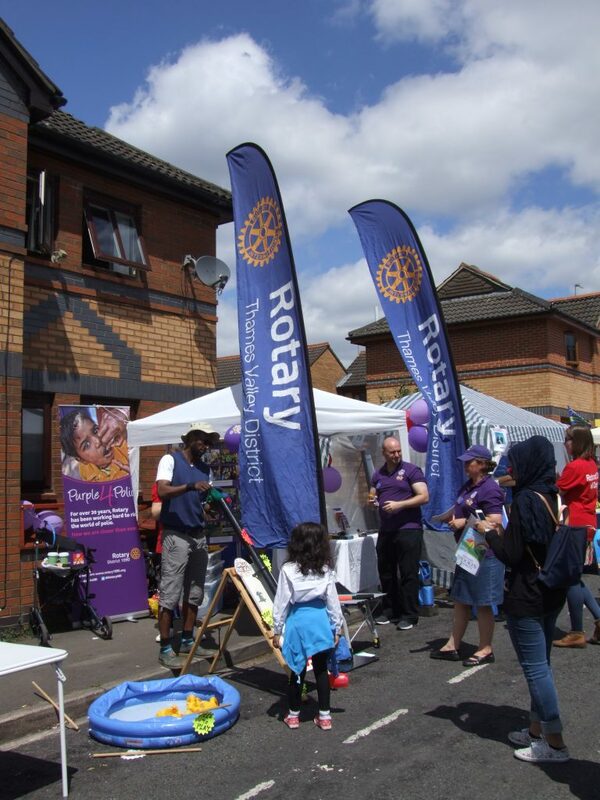 The Rotaract Club of Oxford and Rotary Oxford Spires worked together to tell the visitors at the 2017 Cowley Road Carnival about the International Purple 4 Polio campaign and how close we are in Rotary with our partners to ending the dreadful disease. Polio, also known as poliovirus, is a virus is spreads from person to person, typically through contaminated water. It can attack the nervous system, and in some instances, lead to paralysis. Although there is no cure, there is a safe and effective vaccine – one which Rotary and our partners use to immunize over 2.5 billion children worldwide. 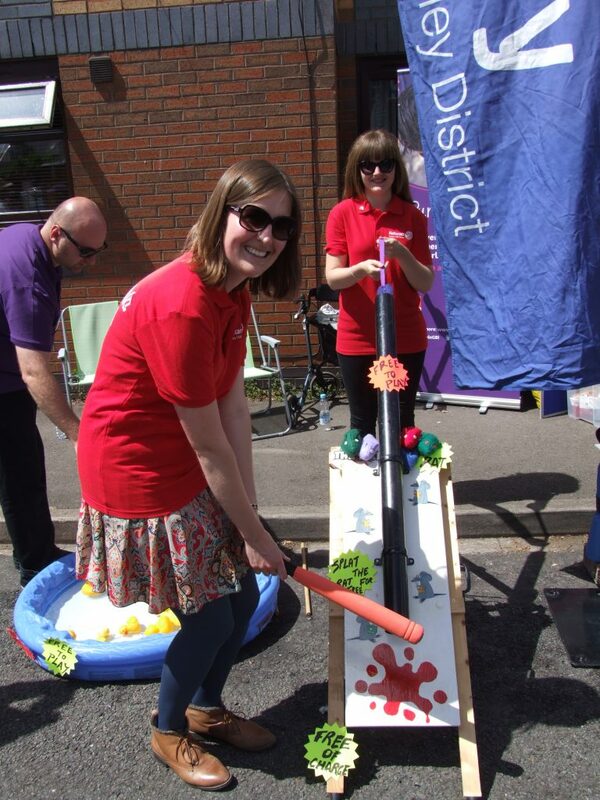 As well as having Rotary and End Polio Now brochure to hand out to the public, we also had the Hook a Duck and Splat The Rat fete games from The World Poohsticks Championships which were loved by everyone who came and played them. Children were playing the game and even grown-ups had a go at trying to whack the fake rat. We repeated the message that we are so close to eradicating Polio. Rotary District 1090 Foundation Chair Karen spoke live on Radio Oxford about how we in the family of Rotary International have been people of action and are working hard behind the scenes and on the ground vaccinating children against the Polio Virus. You can see more photos of the carnival in our gallery page.